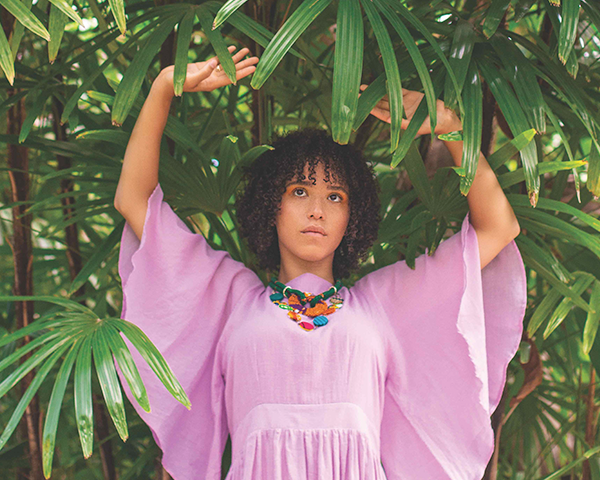 A Montreal-born Grenadian-Canadian, Kaia Kater grew up between two worlds: her family’s deep ties to folk music and the years she spent soaking up Appalachian music in West Virginia. Her old-time banjo-picking skills, deft arrangements and songwriting abilities have landed her in the spotlight in North America and the UK, garnering critical acclaim from outlets such as NPR, CBC Radio, Rolling Stone, BBC Music and No Depression. Kaia started her career early, crafting her first EP, Old Soul (2013), when she was just out of high school. Since then, she’s gone on to release two more albums, Sorrow Bound (2015) and Nine Pin (2016). Her second album wove between hard-hitting songs touching on social issues like the Black Lives Matter movement (“Rising Down”) and more personal narratives speaking to life and love in the digital age (“Saint Elizabeth”). Nine Pin won a Canadian Folk Music Award as well as a Stingray Rising Star Award and sent Kaia on an 18-month touring journey from Ireland to Iowa, including stops at The Kennedy Center, Hillside Festival and London’s O2 Shepherd’s Bush.